Ever since I heard your news I’ve been suspicious of every bike I see. What a freaking drag. 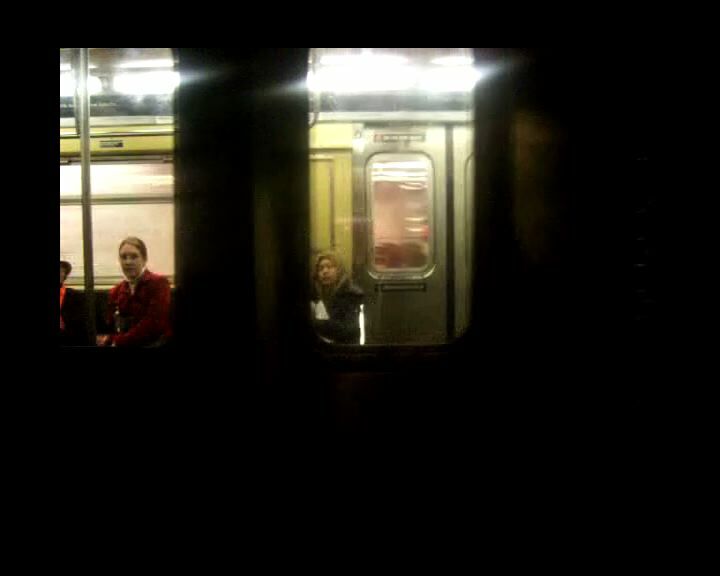 As for the video, I love the dance that subway cars do when they pass each other. Sometimes one goes up and one goes down, or one goes fast and one goes slow. But the best part is what you captured: people actually look at you. Hope you get a new bike soon! it’s like a segue into the inferno, or at least that’s I’m sure how you felt without a bike -hope it finds its way back. looking in on the lives of others – my favorite pastime. light in this one is incredible. know the feeling! hope you get the bike back. thanks for the small marvel video. What a treat to peek in on the train-next-door. I was quietly wishing to see your bike on the adjoining train, thereby signaling a slim shot at recovery.